Crache Ta Douleur Feat. Tony Allen (Short Edit) Fanga 0:00'13"
Agbara THE SOULJAZZ ORCHESTRA 0:05'24"
Shakara ［Disc1］ Fela Kuti 0:10'33"
Secret Agent Tony Allen 0:18'19"
Mosco Tiles Fonclaire Steel Orchestra - Black Man's Cry V.A. (Black Man's Cry: The Inspiration Of Fela Kuti) 0:32'56"
Government Magic / ANTIBALAS V.A. 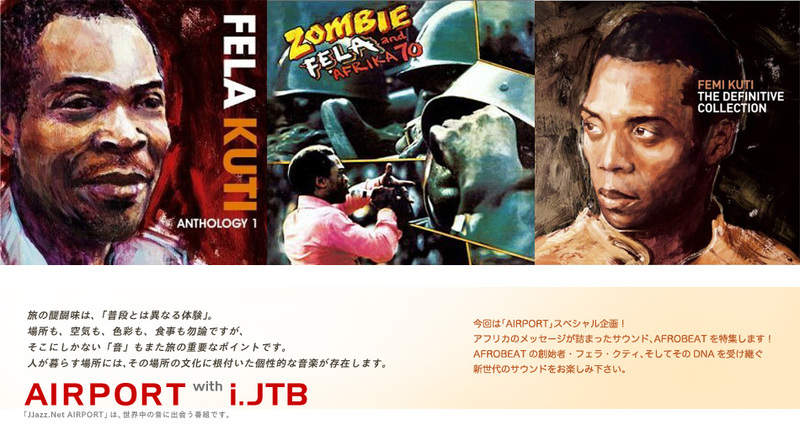 (The Rough Guide To Afrobeat Revival) 0:35'49"
Tell Me Femi Kuti 0:43'31"